Attorney Stephanie Morrow graduated from the University of the State of New York with a Bachelor of Science degree in Psychology and Business Administration. Ms. Morrow’s passion for law was realized when she graduated from Hofstra University School of Law in 1986. During her time as a student, she was privileged to represent Hofstra in the ATLA National Student Advocacy Competition. She also served as a legal intern to Federal Magistrate David F. Jordan, U. S. District Court Eastern District and the Nassau County District Attorney’s office. Stephanie was admitted to practice in New York in July of 1987 where she worked in New York City for a law firm specializing in Immigration and Criminal Law. She was admitted to the Florida Bar in December of that same year where she opened her own practice focusing primarily on the areas of Immigration and Family Law. 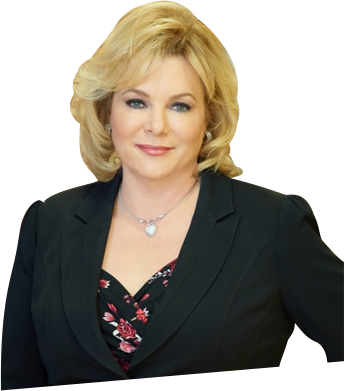 Attorney Morrow has been a featured guest on numerous radio shows including WMCU, WKAT, Radio Paraiso, and had her own radio talk show on 1080 AM discussing family law issues and fielding questions from listeners. She was invited by the University of Miami to serve on a panel of judges for their International Law Moot Court. Stephanie has appeared twice before the 3rd District Court of Appeals. One of these cases,Saporta v. Saporta, 766 So. 2d 379 (3rd DCA 2000), has served as the legal standard in the areas of Constructive Trusts. She is fluent in Spanish, can speak conversational French and can speak some choice phrases in Hebrew and Greek as well. As the mother of four, Ms. Morrow combines her unique perspective on family issues with legal expertise, faith, and a common sense approach as not only an attorney but a counselor at law. Her clients have applauded her advice as good as gold. In her eyes, her best work is accomplished when she can help a couple stay together instead of divorcing. Many unhappy couples harbor under the misconception that when they divorce they will no longer have to deal with each other which may be true only if they do not have children who will essentially bind them together for life! In over 20 years of practice, Ms. Morrow has represented local clients in Miami-Dade, Broward, Monroe and Palm Beach Counties. She has represented out-of-state clients from New York, New Jersey, California, Texas, Georgia, North and South Carolina. Internationally speaking she has had clients from Canada, Mexico, Europe (Germany, Italy, Switzerland, Denmark, Holland, Russia, the Czech Republic,) Central America (Honduras, Nicaragua, Guatemala), South America (Brazil, Colombia, Venezuela, Peru, Equador, Chile, Argentina), the Carribean (Cuba, Haiti, Dominican Republic, Puerto Rico, Trinidad, Jamaica, Bahamas, Cayman Islands), the Middle East (Israel and Egypt), and Africa (Cameroon, Ivory Coast, Nigeria, Eritrea). She, herself, as traveled to Canada, Mexico, Europe, and the Caribbean. It's rare person who can take care of hearts while also taking care of business. Hofstra University School of Law, Hempstead, New York, 1986 – J.D. Recipient of Strathmore’s Who’s Who, a registry of outstanding business professionals.